Renewable energy will account for more than half of the UK’s power supply by 2026, according to a new study. The report by Bloomberg New Energy Finance and commissioned by Eaton and the Renewable Energy Association, claims there will be a “significant acceleration” in the shift to renewable sources over the next 20 years and that this move will create new opportunities for new flexible power sources. By 2040, almost two thirds (63 per cent) of power will be generated from renewable sources, according to the report and at “certain times” wind and solar energy along could meet total power demand in both the UK and Germany. But the report also warns that at other times, there will be “entire weeks and months” where solar and wind will produce “little energy”. It adds high levels of variable generation will create a “very challenging environment” for baseload technologies, such as nuclear and coal and the total back-up capacity needed by 2040 in this country will be much the same as it is today. According to the study, 70GW will be needed in the UK and 97GW will be needed in Germany in 2040 to meet peak demand during periods of low wind and solar generation. Bloomberg New Energy Finance’s head of global analysis, Albert Cheung, said the report highlights the “seismic shift” in how power systems will operate in the future. “As wind and solar become the cheapest options for power generation, the race is on to develop and deploy the flexible resources that will complement them,” added Cheung. 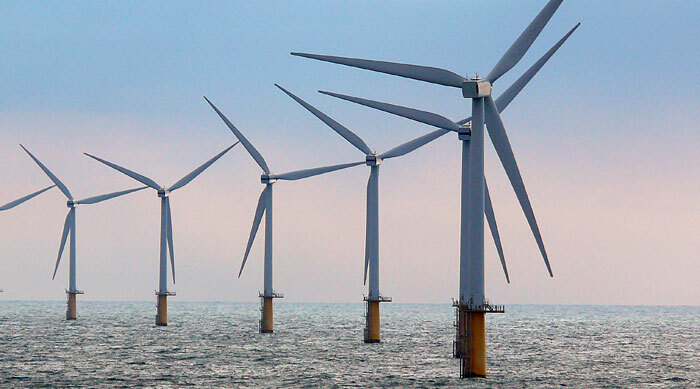 The Renewable Energy Association’s chief executive, Nina Skorupska, commented: “Massive increases in future renewable power generation mean that industry and government must start planning now to ensure low-carbon, cost-effective ways of balancing demand and supply. “We believe that there is a role for fuelled renewable technologies such as bioenergy and energy from waste to provide the complementary baseload generation that will be required, to avoid the need for carbon intensive generation at all,” she added.